The Hawaiian baby woodrose, also called woolly morning glory and vidhara is a climbing vine native to India. The plant has since spread to many tropical regions, notably Africa, the Caribbeans and, of course, Hawaii. The Hawaiian baby woodrose is a member of the convolvulaceae along with the morning glory. The nervosa variant has not been used in medicine traditionally, despite the fact that Hawaiian baby woodrose seeds have the highest concentration of psychoactive compounds in the Convolvulaceae family. Baby woodrose seeds contain many ergoline alkaloids including Ergine. 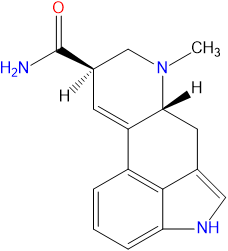 Ergine is also known as Lysergic Acid Amid, or LSA, which is the natural counterpart and precursor of LSD. Despite the similar structure, effects of LSD and LSA differ significantly. While LSD has a decidedly uplifting and energising effect, LSA is reported to induce a sedated, dreamlike trance. 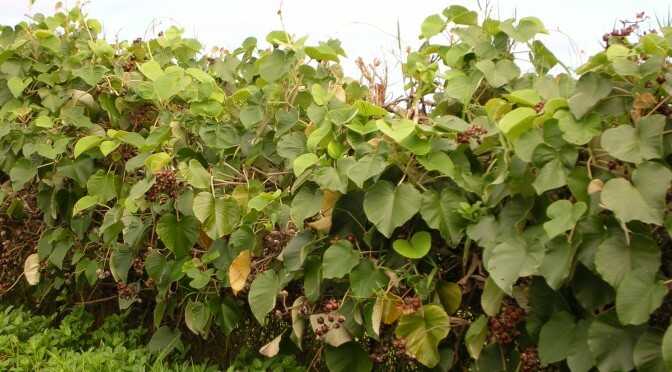 Effects of the hawaiian baby woodrose are much the same as those of morning glory seeds, but baby woodrose seeds have a much higher concentration of LSA. As a result, even a smaller amount can produce similar effects. Consumption of LSA seeds often causes nausea and other stomach problems. This is not the result of the psychoactive substance, LSA itself but the various other compounds consumed along with it. To avoid such complaints, LSA is sometimes extracted from the seeds. The Hawaiian baby woodrose is not a controlled plant, and thus legal in most countries. It should be noted, however, that extraction of LSA is regulated in some countries. Netherlands Hawaiian baby woodrose is not a controlled plant. However, consumption possession and sale of LSA is illegal, which means extraction of LSA from the seeds is banned. UK The hawiian baby woodrose is uncontrolled, legal, and freely available in the UK. Hawaiian baby woodrose seeds may be bought online, as they are legally sold in several countries. In the UK, for example, seeds, plants and instructions for growing Hawaiian baby woodrose as a decorative plant are freely available. Those looking to experience the psychedelic effects of the Hawaiian baby woodrose should buy only the seeds, as they contain the psychoactive compounds. LSA – also known as ergine, d-lysergic acid amide and d-lysergamide – is an alkaloid of the lysergamide family. LSA is the active compound in several plants including morning glory and, of course, Hawaiian baby woodrose. LSA is the precursor of LSD, which means it is a component in the process of producing LSD. Unlike LSD, LSA occurs naturally. LSA’s psychedelic effects are believed to come from its efficacy at the 5-HT2A receptor as a partial agonist. However, the role of these interactions and how they result in the psychedelic experience continues to remain elusive. There are also doubts to the truth of this theory, as synthetic LSA has been reported to have very little psychedelic effects. Nevertheless, LSA has been reported to have several physical and cognitive effects as well. These will most likely not all occur at the same time, but any combination is possible. LSA also has memory-inhibiting effects, to the point where users may experience “ego death”. This is a state in which one is disassociated from one’s self, viewing concepts and even themselves from an impersonal, (supposedly) unbiased point of view. LSA has been reported to have an interesting duality of effects. In general, it can be considered a sedative, as mentioned earlier. However, in highly stimulating environments or taken during physical activity, it can also act as a stimulant. LSA is a hallucinogenic substance. Effects mainly include physical and visual stimuli. The tactile sensations can range from mild tingling all the way to physical euphoria. Users often experience a perceived increase in their weight and partial loss of motor function. Visual experiences include various color shifts and color enhancement. Users may experience several distortions in the visible world around them – objects morphing, flowing and melting – in high detail. Primary effects of LSA-use usually last about 5-10 hours. For up to 3 hours after the primary effects have ended, the color distortions and the increased sense of brightness usually remains. A feeling of empty headedness often occurs during this period as well. Consumption of Hawaiian baby woodrose can have some adverse side effects and consequences. The most prevalent side effect is nausea and vomiting, which may be diminished or even prevented by correct preparation. Hawaiian baby woodrose may cause mental effects such as confusion as well as an increased sense of anxiety and paranoia. These side-effects pass with the other effects of the seeds, but may linger for users with psychotic tendencies. The Hawaiian baby woodrose is a vasoconstrictor, which means it causes a narrowing of blood vessels. Somewhat uncomfortable in itself, this may pose a large risk during surgeries, so Hawaiian baby woodrose seeds should not be taken beforehand. Hawaiian baby woodrose elevates serotonin levels in the brain, which causes the sought-after euphoric effects. Anti-depression medications affect the same chemicals, which can cause dangerous interaction leading to anxiety, shivering and heart problems. Do not take Hawaiian baby woodrose if you’re also taking anti-depression medication. There have also been reports of adverse side effects of Hawaiian baby woodrose consumed along with alcohol. One’s inhibitions and sense of fear may be severely lowered, to the point where there has been at least one fatality due to falling off a building under the effects of alcohol and LSA. Synergistic effects of Hawaiian baby woodrose and other substances is largely unknown, so generally it is not a good idea to consume them together without extensive research or professional advice. 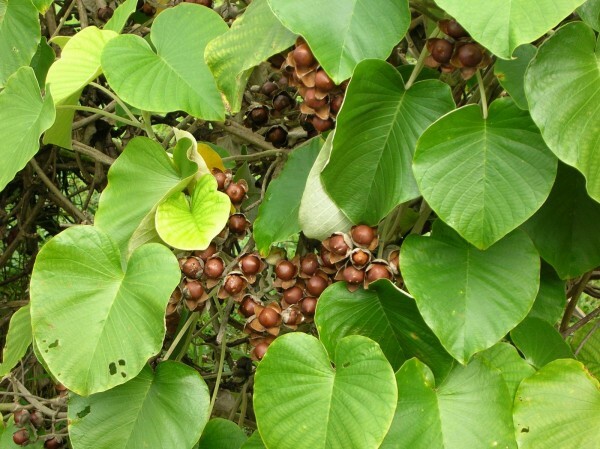 Hawaiian baby woodrose is used mainly for pain relief through elevated serotonin levels. The plant is also used for the healing of wounds, though in that case not the seeds but the leaves are used, which are applied topically. Hawaiian baby woodrose has also been reported to have aphrodisiac effects. Other uses of the plant include treating gonorrhea, rheumatism and nervous system disorders. Hawaiian baby woodrose can have rather adverse effects if incorrectly prepared. Both the coating of the seeds and chemical compounds within the seeds can cause nausea. Seed pods of the Hawaiian baby woodrose generally contain 4-6 seeds. Seeds have a hairy coating which should be scraped thoroughly. This removes part of the nauseating effects and the seeds may then be taken. To further improve effects, ergoclavines may also be removed with an acid/base wash. Alcoholic solvents should be avoided. Soaking the seeds in a combination of distilled water and baking soda should have the desired effect, though the solution should be filtered afterwards to remove excess baking soda. Hawaiian baby woodrose seeds may be consumed whole or ground. When ingesting ground seeds, they should always be freshly ground. Ground Hawaiian woodrose seeds may also be consumed by soaking the seeds in water and drinking the water. It should be noted that the intensity of the effects may vary with the method of consumption. Travel sickness pills such as dramamine may be taken either before ingestion or after the nausea has set in. However, users should be aware that dramamine can be a dangerous substance in larger quantities. Also, its synergistic effects with Hawaiian baby rose are unknown, though there have been no reports of adverse effects. 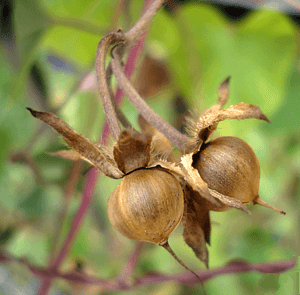 The recommended average dosage of Hawaiian baby woodrose seeds is about 4-8 seeds at a time. However, effects may vary on a person by person basis and users, especially first-time users should always proceed with care. First time users should “test the waters” by taking 2-3 seeds only. Onset of the effects may take up to one hour (20-40 minutes in general), so re-dosage if no effects are experienced at first should be avoided. A heavy dosage of Hawaiian baby woodrose seeds is set at 12-15 seeds. However, this dosage is not recommended for any but the most experienced users of Hawaiian baby woodrose. There are several Hawaiian baby woodrose trip reports with positive, negative and mixed experiences as well. A careful preparation and dosage choice is essential for a great experience. “5:00 PM – After making sure I felt happy in general, and ready to try the seeds, I put 4 into a mug half full of water, guessing that 4 is probably about right for me, this being a first time, and microwave this for 45 seconds on high, to soften them enough to chew. 6:00 PM – At this point the nausea has started to kick in. I feel like I need to vomit, and spend some time crouched over the toilet bowl. 7:00 PM – The mental and body parts of the trip have really kicked in by now. I feel very happy and content. The music is directing my CEV’s, which are mostly sort of vaguely human forms grooving with the music, in a swirling liquid way. (After 8:00 PM) The pronounced mood lift has faded somewhat, though I’m still feeling very much happy and content for the rest of the trip- just not as intensely as the initial brief lift. Old memories come and go, including some dream fragments that I’d forgotten until then. Hawaiian baby woodrose is only one of the legal highs included in Simon’s legal high guide, check out the others as well. Last updated: 2015. 11. 11. A guide detailing the properties, effects and legal status of hawaiian baby woodrose, including trip reports.